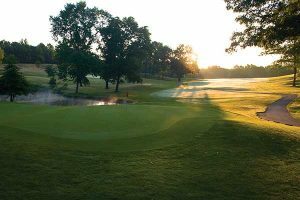 A southwestern Michigan resort has built a legacy for three generations as a golfing destination. With the opening of the new Stoatin Brea course, Gull Lake View Golf Club & Resort has become one of the largest golf resorts in the world. That’s big—and great for golfers. Gull Lake View has been offering a family-fun resort since Darl Scott, an entrepreneur at heart and golf course superintendent by trade, decided to build and open his own public golf course in 1963. 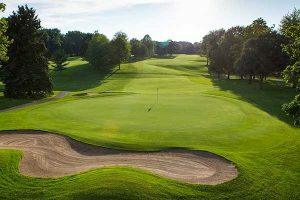 The Scott family’s work throughout the last 50 years is clearly reflected in how the golf and resort community has grown steadily and remarkably within the heart of southwest Michigan, just north of Kalamazoo. Darl and his wife Letha Scott worked, and Gull Lake View grew. Charlie Scott, one of their three sons, directed the family in the golf business next and Gull Lake View continued to expand. Charlie Scott remains involved even as the mantle of leadership has been place on third generation Jon Scott’s shoulders. Even to this day, Gull Lake continues to flourish and increase both course and social gathering opportunities. 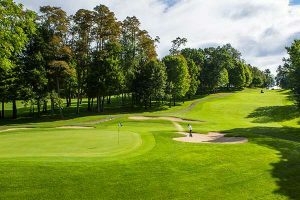 Most recently the Scott family opened its sixth championship course known as Stoatin Brae, which means Grand Hill in Scottish Gaelic. In the language of the Scott family, the course means building business as it has been for the last four decades; only this one comes with a twist. Stoatin Brae is a departure from the norm while at the same time aligning with the family’s version of a manifest destiny. “When grandpa decided to build his own golf course that was certainly out of his comfort zone, and as we’ve expanded over the years we have pushed those limits that others see,” said Jon Scott in a press release. “What we did at Stoatin Brea is different, very different in the kind of course and how it compares to the others we have here, and in that we did not design it ourselves. “But in doing it, forging ahead with it, it is consistent with what our family has done from the beginning. 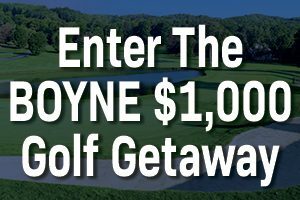 We’re giving more to the golfer, our customers, giving them more reasons to come play golf here, another way to have fun,” added Scott. What began as 18 holes of golf in 1963 has expanded into nearly 108 holes of golf across five decades. The development also comprises the addition of the popular villas and restaurants as well as other real-estate development, which has turned the family-owned golf course into resort and community destination. The latest community addition is the new Blue Stem restaurant, adjacent to Stoatin Brae. It features creative cuisine, a full-service bar and an outdoor patio with sweeping views of the surrounding landscape and course.